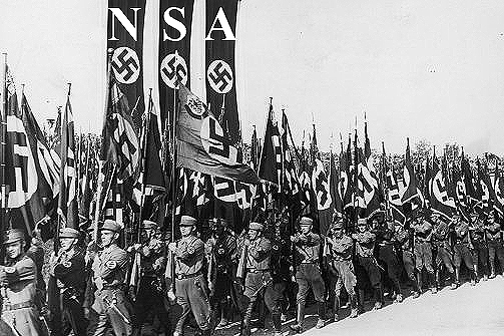 Germany Investigates NSA Merkel "Phone Tap"
The allegations of US spying on the German chancellor and dozens of other foreign leaders emerged last October in documents provided by NSA leaker Edward Snowden. Ms. Merkel responded harshly to the claims at the time, telling President Barack Obama such actions would be a "serious breach of trust". German officials did not provide details of the probe and it is not immediately clear what the investigation might mean in terms of possible prosecutions. A statement from the office of Germany's top prosecutor, Harald Range, said "sufficient factual evidence exists that unknown members of US intelligence services spied on the mobile phone of Chancellor Angela Merkel". Mr Obama's deputy national security adviser, Ben Rhodes, responded to news of the probe, saying the US believes direct dialogue rather than an investigation is the best way to address Germany's concerns. "We believe we have an open line and good communication", he told reporters aboard Air Force One as the president flew to Brussels for the Group of Seven summit. The allegations of US spying on foreign leaders intensified already mounting pressure on the Obama administration to respond to the revelations of NSA surveillance practices. 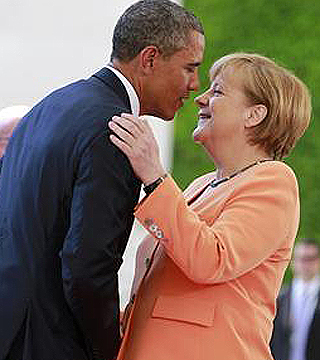 Mr Obama acknowledged his German counterpart's anger and promised to implement new guidelines. "The leaders of our close friends and allies deserve to know that if I want to learn what they think about an issue, I will pick up the phone and call them rather than turning to surveillance," he said at the time. Mr Range's office said he is not opening a formal investigation into wider allegations of US and British spy agencies conducting a blanket sweep of telecommunications data in Germany. His office said there is insufficient evidence on those claims but that it will remain under consideration. Ms. Merkel's spokesman, Steffen Seibert, declined to comment on the investigation, saying only that the German government did not influence Mr Range's decision.